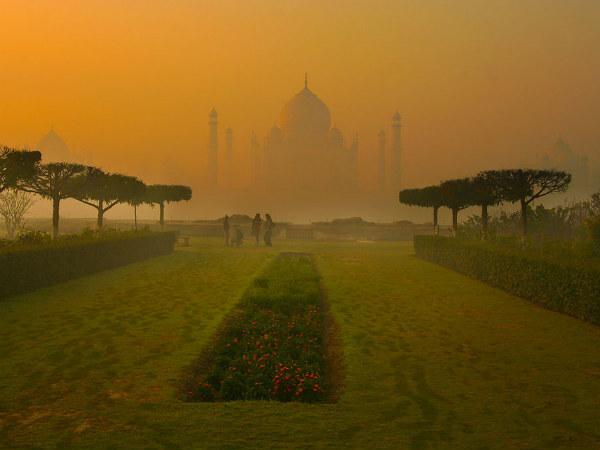 The land of the Taj, Agra, unarguably, is one of the most popular places in the world. Millions of tourists and travellers from each and every country throng this historic city to witness its legendary tombs, incredible palaces and other mesmerising buildings. After all, Agra is one of the few places in India where you can learn in detail about the glorious and the miserable past of the Mughal Empire. Located in Uttar Pradesh on the banks of Yamuna river at a distance of about 230 km from Delhi, Agra was the capital of the Mughals for about 100 years. Even though it was invaded and ruled by several other rulers during the Mughal era, it is still the city of Mughals and showcases their legacy. As per historical records and ancient Hindu texts, the history of this wonderful city stretches back to the era of the epic Mahabharata when it was called Agrevana. A lot of things have changed since then. Today, Agra is the most visited historical place in India and is a part of Uttar Pradesh Heritage Arc. As it is located in the vicinity of Jaipur, it makes for a perfect weekend getaway, especially for history lovers. So, if you live in and around Jaipur, how about setting on a remarkable journey from Jaipur to Agra? Agra experiences a semiarid climate and hence, it has a hot climate during the summer season. Therefore, it is a less preferred destination amongst common tourists during the summer season. However, for history lovers and travellers, Agra is a year-round destination. If you are looking forward to avoiding the summer heat, then the best time to visit is from October until the end of February. By Air: Agra has its own airport and hence, you can catch a direct flight from Jaipur to Agra. By Rail: Agra is well connected to Jaipur and other cities of India by rail and therefore, you can catch a direct train from Jaipur railway station to Agra. It will take you an approximate time of 4 h to reach your destination. By Road: Agra has a good system of roads and hence, you can easily approach it by road. You can either hire a direct taxi or catch a direct bus from Jaipur to reach Agra. On your way to Agra, you can also visit the beautiful town of Bharatpur, which is also home to a UNESCO World Heritage Site. Also known as the Eastern Gateway to Rajasthan, Bharatpur is another historic town which is generally popular amongst tourists for Keoladeo National Park which is a UNESCO World Heritage Site and is visited by travellers and photographers from all over the world. Apart from savouring the diverse wildlife and the richness of the national park, you can also indulge in exploring the beauty of its historical monuments. Bharatpur is located at a distance of about 184 km from Jaipur and 58 km from Agra and hence, it is an ideal en route stoppage to take a break amid natural and historical beauties. The major places here include Bharatpur Palace, Lohagarh Fort and Keoladeo National Park. Once you have reached within the boundaries of Agra after covering a distance of about 240 km, you will be open to a beautiful world of architectural wonders. From tombs to palaces, forts to gardens and temples to mosques, there is a lot here which will certainly astonish you. Following is the list of major places to visit in Agra. Scroll down to know more about them. A beauty like no other and a charmer that repels inelegance, the Taj Mahal is one of the seven wonders of the world which is on the bucket list of every traveller. It is a dream destination for every history lover and photographer. After all, where else can you find such a monumental beauty which showcases the rich history of India? Built by the Mughal Emperor Shah Jahan in the loving memory of his wife, Mumtaz Mahal, this incredible masterpiece was constructed with the help of about 20,000 workers in 20 years. Isn't it an interesting fact about this architectural wonder? Built out of white marble and surrounded by beautiful gardens on the banks of the Yamuna river, the Taj Mahal seems like a paradise. Another splendour of Agra and the official residence of the Mughal rulers and their royal family, Agra Fort is spread over an area of about 94 acres and houses several palaces, public halls, private rooms and beautiful gardens. The major places which need to be explored within its boundaries include Jahangir Mahal, Sheesh Mahal, Diwan-i-Aam, Diwan-e-Khas and Akbari Mahal. If there is any fort in India which narrates the age-old legends of the Mughals, then it is certainly Agra Fort. Therefore, you shouldn't miss out on this architectural beauty when in and around Agra. Mughal Gardens of Agra are some of the oldest gardens ever built by the Mughals. Even though you can also savour the beauty of these Mughal gardens in other places, such as Jammu and Kashmir, but the beauty which the gardens of Agra reflect is certainly unmatchable. The major gardens which can be visited in Agra include Mehtab Bagh and Ram Bagh. Both are located in the vicinity of the Taj Mahal. Another beautiful instance from the era of the Mughals, Akbar's Tomb is a wondrous monument which was built by Akbar's Son, Jahangir. The tomb was plundered by a Jat ruler, Raja Ram Jat, who wanted to avenge the death of his father. The tomb is generally popular amongst tourist for its brilliant architecture which comprises intricate patterns, commendable designs and detailed ceilings. One of the largest mosques in India, Jama Masjid is located in the vicinity of Agra Fort and was built by Shah Jahan in the year 1648. Made out of red sandstone and white marble, Jama Masjid took about 6 years and 5000 workers to finish. It is adorned with beautiful paintings, carvings and designs. You must not miss this wondrous beauty on your trip to Agra. The journey to Agra never ends with four or five places. If you set on a voyage of exploring the entire Agra, it will probably take you several years to visit its each and every beautiful corner. Apart from the above-given places, you can also visit places, such as Keetham Lake, Itmad-Ud-Daulah's Tomb, Chini ka Rauza, Mankameshwar Temple and Mariam's Tomb.